Australia’s largest healthcare provider transforms its trading relationships with SPS Commerce’s cloud-based Fulfilment EDI and supplier onboarding solutions to improve efficiency, add visibility, and eliminate manual accounts reconciliation. Limited efficiencies and supply chain visibility. SPS Commerce Fulfillment and Community to rapidly onboard vendors. 127 percent of vendors are EDI-compliant. Sigma Healthcare is one of Australia’s largest pharmaceutical wholesalers, with around $4.0bn annual revenue from wholesaling and distributing prescription, over-the-counter, and general pharmacy products to pharmacies across the country. Sigma also has one of the largest pharmacy networks in Australia, with around 1,200 pharmacies operating under one of Sigma’s brands or through our independent pharmacy offer. Approximately 20% of consumer spend in pharmacy is through one of Sigma’s five pharmacy brands, which includes Amcal, Guardian, PharmaSave, Chemist King and Discount Drug Stores (DDS). Sigma supplies an additional 2,800 retail pharmacies, from 15 distribution centres around the country. Sigma offers 15,000 SKUs and receives 600+ orders daily, for more than a million deliveries annually. Sigma Healthcare outlined a vision to increase business development activities, concentrating on broadening the business base to be less reliant on PBS products, maximising efficiencies through the supply chain, and bringing a sharper customer focussed approach. ‘Project Renew’ was instituted for a whole-of-business review of end-to-end processes, to streamline the business and maximise efficiencies and services to customers. Although the Sigma Healthcare (nee Sigma Pharmaceuticals) value chain had been connected for EDI automation for more than a decade, low adoption of Fulfilment EDI by Sigma’s trading partners limited the efficiencies and supply chain visibility gains that could have been realised. 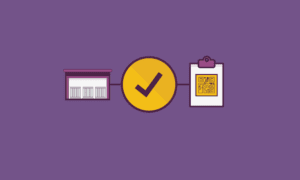 Of the 500 suppliers Sigma typically orders from, less than 20% had been connected for automated receipt of Sigma’s orders, and only a handful for automated invoice returns, necessitating manual reconciliation of order/invoice/delivery in most instances. Operationally, Sigma therefore sought a solution that would onboard current and future suppliers quickly and efficiently, for exchange of orders and invoices, to maximise the benefit of automated fulfilment and free team members for proactive work. Sigma Healthcare, as part of the meta Project Renew programme, went to market seeking a more effective Fulfilment EDI solution, incorporating a reliable supplier network onboarding solution. Within that requirement, and against a backdrop of numerous concurrent modernisation programmes, Sigma recognised that a new Fulfilment EDI partner would need to take leadership in project management to minimise calls on the Sigma team’s time. Following consultation and a tender process, Sigma Healthcare partnered with SPS Commerce, Inc. as an outsourced Fulfilment EDI partner. 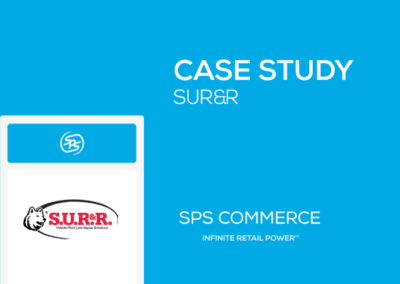 The Sigma project scope had three broad elements for immediate concurrent deployment; connecting Sigma to the SPS Commerce retail network, migrating Sigma’s connected suppliers, and enabling turnover orders and invoices – all to be accomplished without any downtime or disruption. Turnover orders and invoices are commonly used in retail pharmacy, and enable the manufacturer of a pharmacy product to process orders to Sigma for sales made directly to retail pharmacies. Michael Bignell, head of operations planning supply chain for Sigma Healthcare, said the tender process showed SPS Commerce to be the obvious choice. 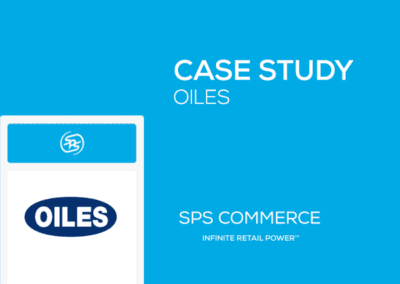 SPS Commerce retail implementation specialists analysed Sigma’s business processes, preparing message implementation guidelines (MIGs) congruent with the people, systems, and aims. These MIGs were implemented with Sigma’s IBM ASW enterprise resource management (ERP) business system, and connected with the SPS retail network. SPS consultants integrated GS1-compliant rules and norms, consistent with Sigma’s openness to learning from other industries and categories. Bignell noted that the company’s focus on supply chain efficiency and velocity is an early trend for Healthcare, and that the rapid pace of change is exciting for the magnificent opportunity it offers. “Our decision-making team has a varied background, with vastly distinctive experience that makes us collectively stronger,” he said, describing the robust strength that comes from drawing on colleague’s experience in grocery, mining, ecommerce, and more. 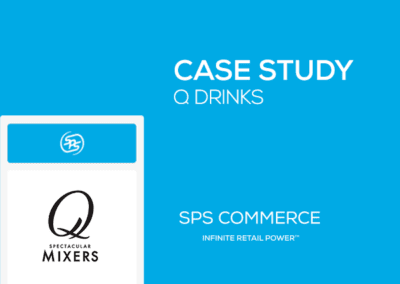 Cassandra Temple, supply chain systems manager with Sigma Healthcare, said that with this information incorporated into the project specification and discovery, the integration was conducted with minimum fuss and managed effectively by the SPS Commerce team. 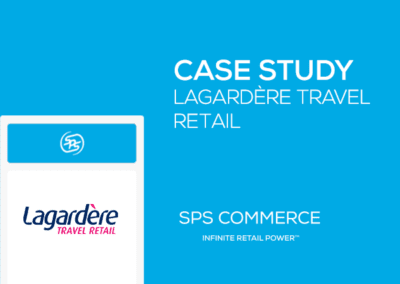 “SPS Commerce project managed and completed the migration. I was able to get on with my other responsibilities, as the implementation was smooth and progressed to the project timeframe – and most importantly, as a company we didn’t miss a beat,” said Temple. Turnover orders and invoices are vital to the smooth front-facing operations of Sigma Healthcare. They support the common pharmacy procurement model under which manufacturers promote products to pharmacy managers and buyers, with orders placed by the manufacturer’s representative direct to the distributor Sigma for delivery to the retail pharmacy. From consultation with Sigma business process owners, the SPS implementation brought turnover order data directly into Sigma’s ERP, processing more than 10,000 orders per month for speedy despatch of these frequent orders. Angela Hariohoedojo, general manager and vice president of SPS Commerce APAC, has worked with diverse industries across her career and says that SPS Commerce’s strength is providing an adaptable solution unconstrained by technology. “Turnover orders have been used by Sigma Healthcare, and other large Australian pharmaceutical suppliers, since the introduction of mobile ordering technology,” she said. “Our supply chain strategists worked with Sigma’s business systems and requirements to deliver a seamless transition in this important and – for Sigma – customer-facing process.” Hariohoedojo said that incorporating industry-specific order management methods is central to the SPS value proposition, connecting the retail ecosystem. A top-line issue for Sigma was the rapid onboarding of their supplier community, for automated exchange of EDI documents, in order to secure considerable efficiencies for the Sigma logistics and accounts teams. Sigma expressed that SPS Commerce’s community onboarding solution, designed to onboard entire supplier networks within 3 months, was key to their partnership decision. Sigma Healthcare has plans for evolving the SPS Commerce partnership, to further expand its network of connected trading partners. In considering the SPS Commerce project and the changing face of healthcare and pharmacy, Cassandra Temple reported that a meaningful number of trading partners are themselves undergoing supply chain and logistics transformation, with ERP migrations and their own Fulfilment EDI initiatives. This added to the reflection that the sector trend is toward modern supply chain integration methods, as efficiency and effectiveness drivers magnify in Australia. An aspect of this was the increased emphasis placed on building truly symbiotic and mutually supportive trading partner relationships, she said – and that trading partners loved finding new orders active in their systems in the morning. “Our trading partner master data is probably better than it has ever been, and our partnerships stronger than ever,” said Temple. “We have an elevated opportunity to communicate with our trading partners, a fresh opportunity to engage them as partners in our transformation. They value that as much as we do, and it was all part of the change process we took with SPS,” she said. Michael Bignell said that the scale of Project Renew means that it will be a long and far-reaching project and that the SPS Commerce portion is considered very successful. “Efficiency comes from a lot of initiatives combining to realise our extensive project objectives. We’ll be able to map success metrics across time spent in manual data entry, supply chain velocity, invoice processing, and inventory profile change this year, and make some hard quantifications of savings and efficiencies,” he said. Seamless EDI communication with vendors can make the difference between a lost sale and a long-term business partnership. Harnessing the power of EDI is an important step.